The British Educational Suppliers Association (BESA) which represents over 400 UK-based education suppliers, today revealed the findings of its flagship annual ICT research report undertaken by the National Education Research Panel (NERP). The report finds that there is a definite requirement for ICT training for teachers, and that some 57% of primary, and 61% of secondary teachers named this as their key ICT challenge over the next 12 months. 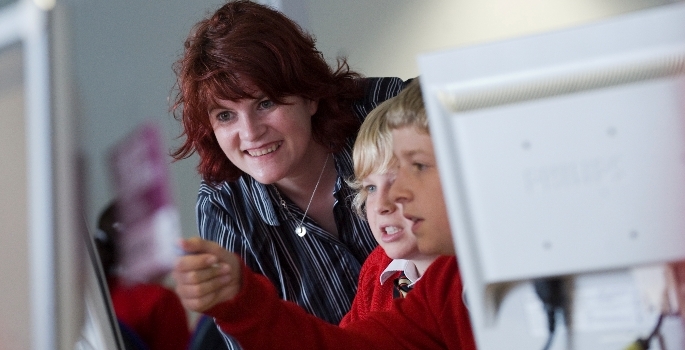 Half of teachers are considered to be in need of training in e-safety issues, and digital content training requirements in primary schools are expanding, especially with over 50% of pupils’ time being spent engaging with ICT in the classroom (compared with an average of 55% in secondary schools). BESA’s research also finds that more than half of primaries do not have adequate broadband. Only 44% of primary ICT leaders said their schools were “currently well resourced” with broadband, compared with 97% of secondary schools. However, concerns around the security of data is the main barrier preventing schools from moving to cloud-based solutions. On the subject of increasing access to adequate broadband for primary schools, BESA’s Director General Caroline Wright is approaching the topic as “a major issue that needs to be addressed if we are serious about pupils acquiring the skills they need to enter into the increasingly digital workplace”. Despite the focus placed on ICT training, the average ICT budget for a primary school is forecast to be £13,800 in 2017/18 and £58,230 for secondaries. This is a year-on-year decline of -4% and -7% respectively. There are also an estimated 906,596 computers in UK schools that are deemed ineffective due to condition, age or specification. The education technology association Naace has also contributed findings to the report, with its CEO Mark Chambers citing that “we have two kinds of schools, those helping young people capitalise on the educational opportunities of the internet and those resisting it tooth and nail”. In response to the report and its findings, Naace has now published a School Leadership eGuide, ‘8% Budget Cuts and More – how schools are being reshaped for a connected world’, to help inform schools on how they might access the benefits of thoughtful investment in education technology. The guide is available at naace.co.uk. BESA, the British Educational Suppliers Association, is the trade association covering the entirety of the UK educational suppliers sector. It operates on a not-for-profit basis, and is accountable to an Executive Council that is elected by member companies. It has an 80-year heritage serving the UK education sector, and represents over 400 educational suppliers in the UK, including manufacturers and distributors of equipment, materials, books, consumables, furniture, technology, ICT hardware and EdTech to the education market.